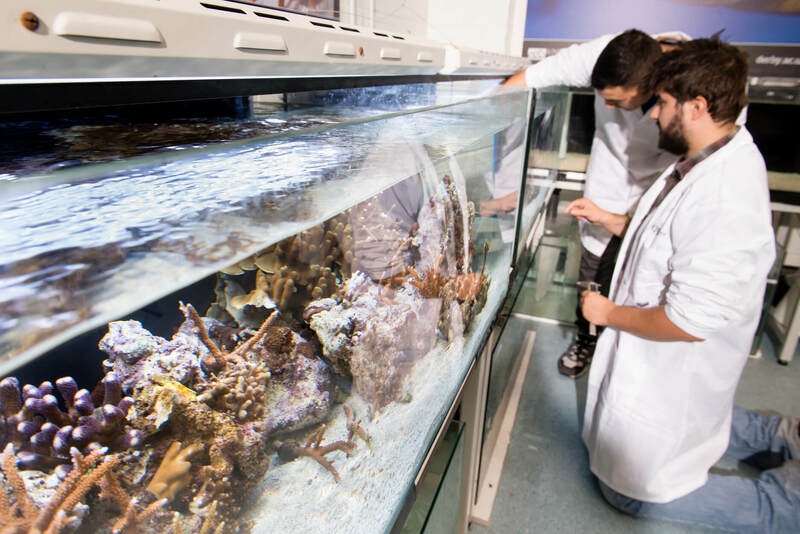 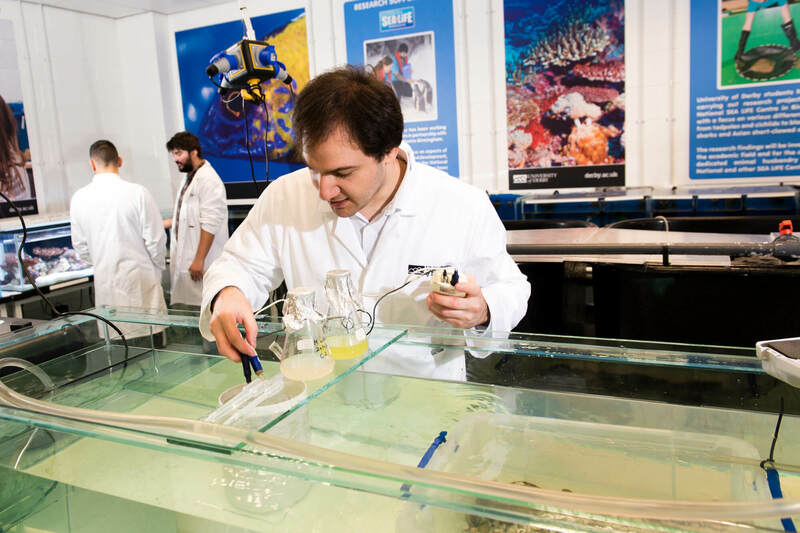 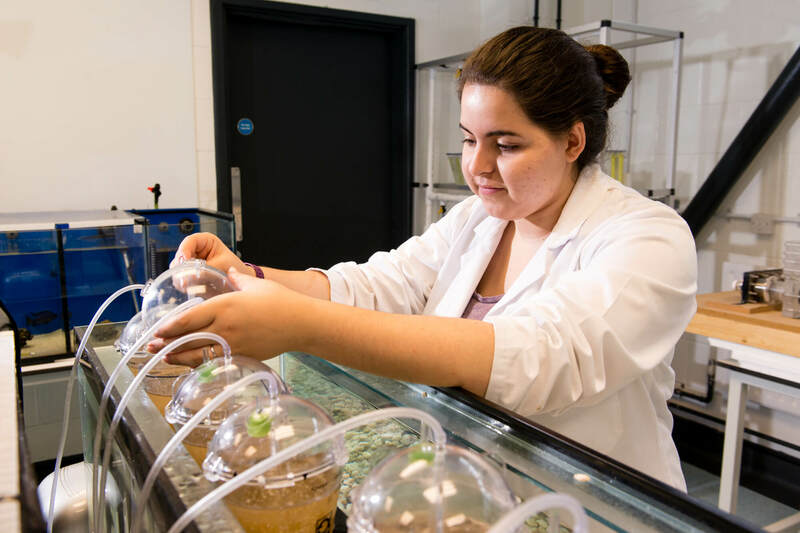 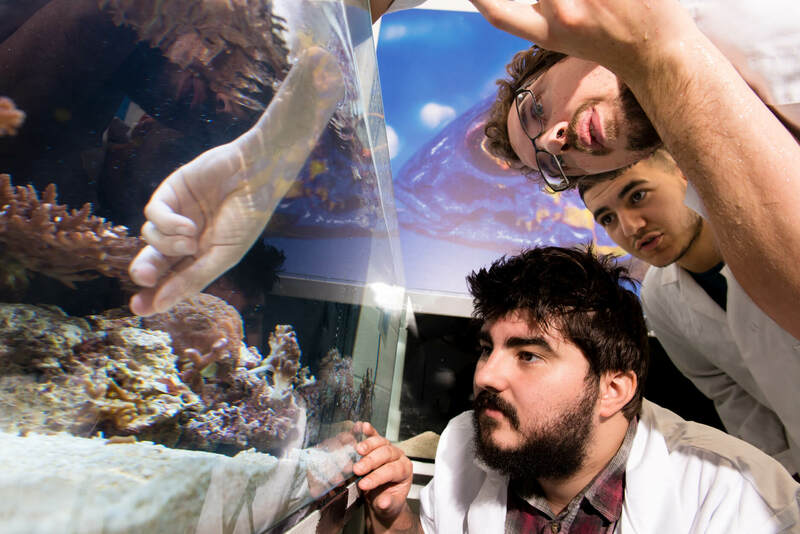 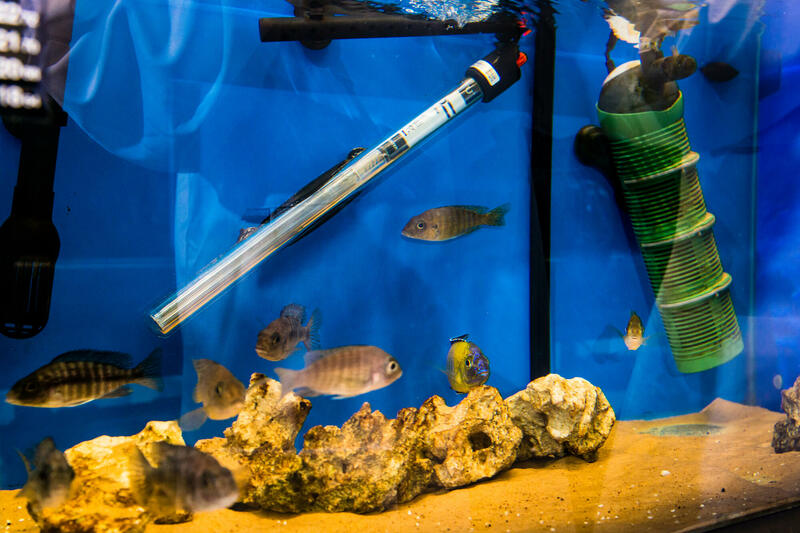 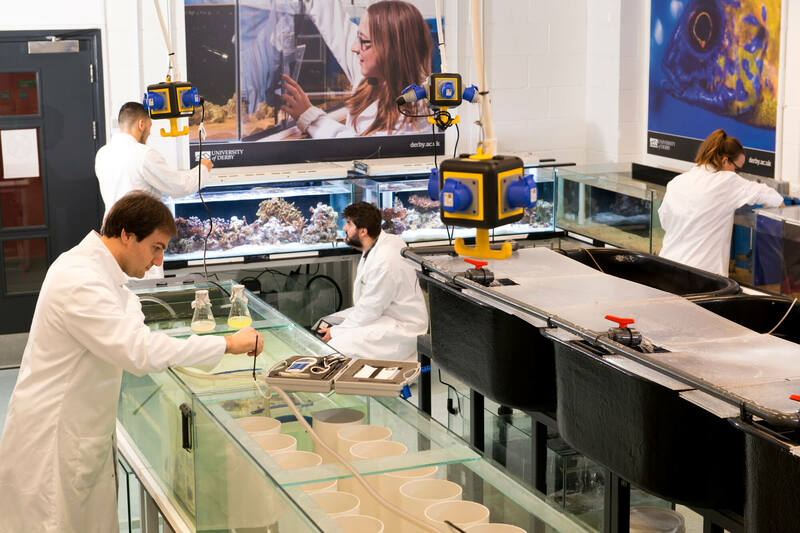 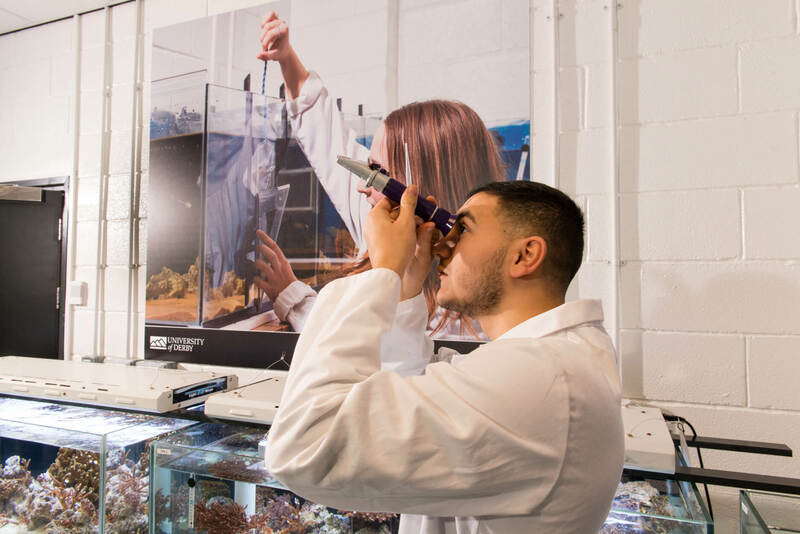 The space has been designed for dedicated research in animal behaviour, welfare and disease to help fill the gap in zoo and aquarium conservation research and houses tadpoles, reef corals, freshwater mussels and Malawi Cichlids – a species of African fish. 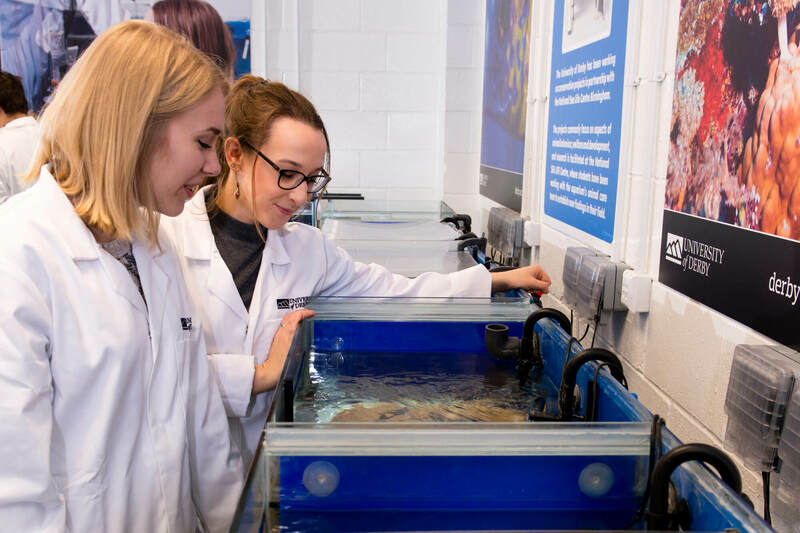 The facility will allow students, staff and project partners associated with the University of Derby to answer real world issues associated with marine and freshwater systems. 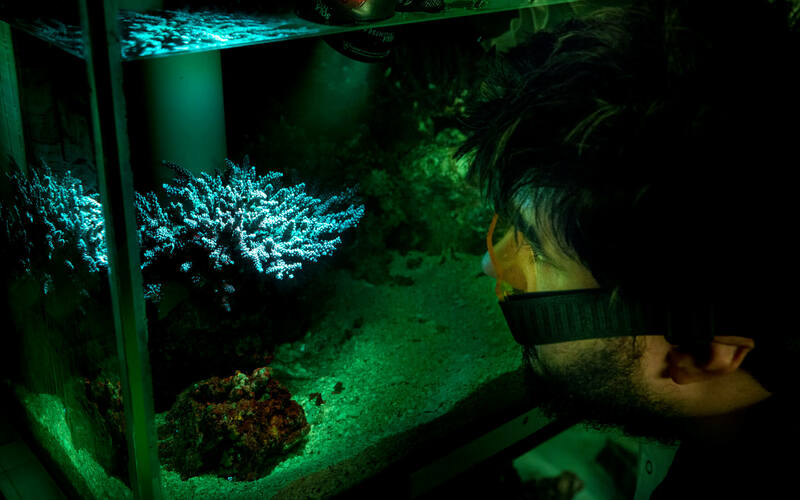 This allows us to design studies with a high level of replication, ensuring any findings are valid and robust and can then be utilised by zoos, aquariums and conservationists for developing management strategies aimed at improving welfare and husbandry for a wide variety of different organisms around the world. 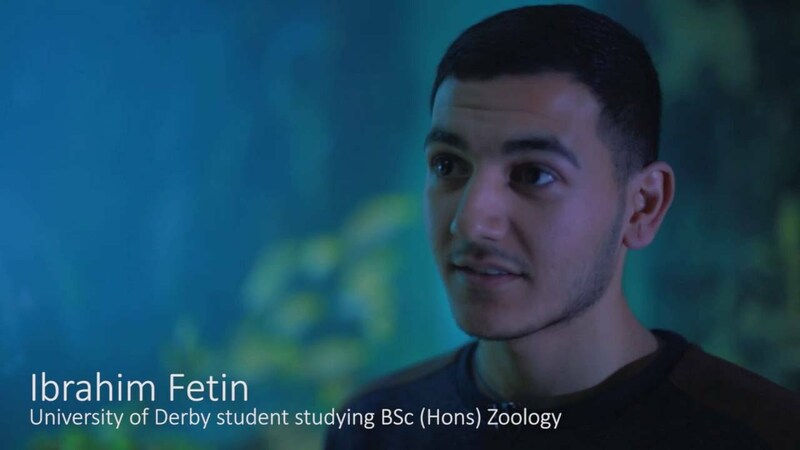 This is coupled with the work undertaken in our project partners institutions with allows our students and staff to work on larger organisms as well, such as otters and penguins for example.